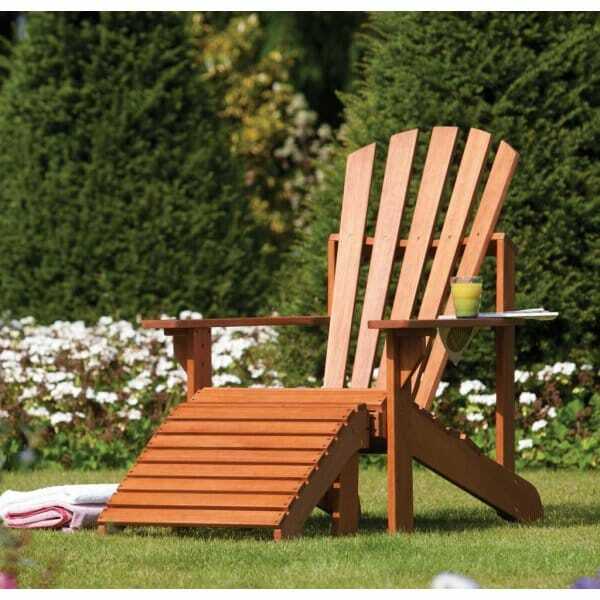 Adirondack Chair: A fantastic quality and stylish garden seat, perfect for relaxing on those summer days and warm evenings. Featuring a wide arm rests, a contoured seat and rounded back rest and ottoman foot rest for complete comfort. A stunning addition to any garden!